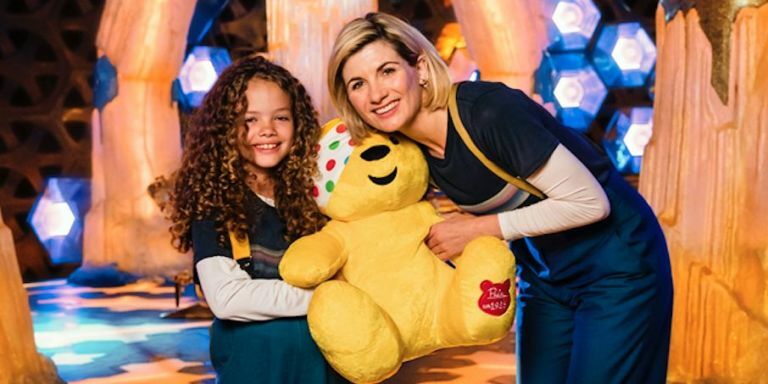 Last Friday, the Children in Need special on both BBC1 and BBC2 gave Call the Midwife fans an early Christmas gift: a first look at this year’s holiday special. 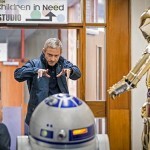 Much like its telethon counterparts of Red Nose Day and Sport Relief, Children in Need brings together the best and the brightest when it comes to content, rivaling San Diego Comic-Con for premiering promotional trailers and videos shot specifically for the effort. In addition to a first look at the forthcoming Call the Midwife series, this year’s Children in Need special also featured an appearance by Doctor No. 13, Jodie Whittaker, surprising a young fan with a trip to the set of Doctor Who. The BBC-owned charity annually raises money for disadvantaged children and young people in the UK. Friday’s total collected a record-setting £50.6 million ($64.7 million), bringing the overall total since its inception in 1980 to over £1 billion ($1.3 billion). 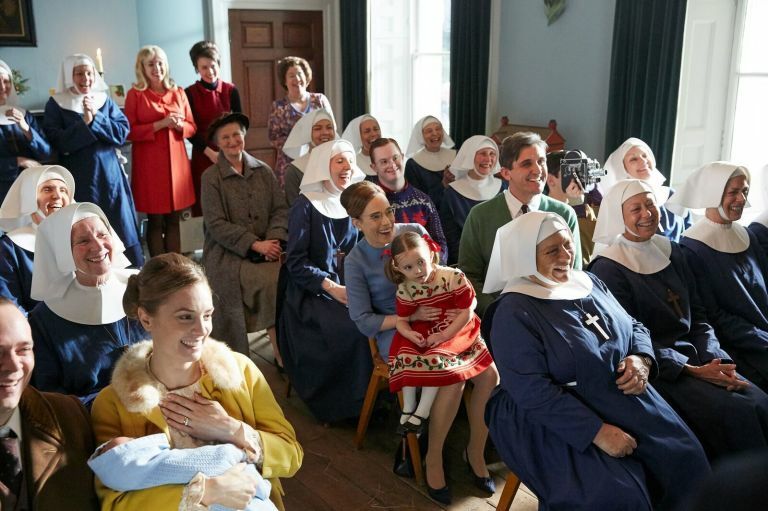 With Call the Midwife season 8 set to premiere on BBC One in January 2019 and Spring 2019 on PBS, Tellyspotting has learned that it will focus around 1964 and the Queen’s royal birth, and feature the addition of two new sisters to Nonnatus House. As we earlier reported, the Order’s Sister Mildred, played by the brilliant Miriam Margolyes, will descend on Poplar with four orphans from China who she found abandoned in Hong Kong and are being adopted in the UK as part of the World Refugee Project. The ultimate Call the Midwife news is that series 8 will see the return of Trixie (Helen George), who comes back to Poplar to cover for the sisters as they leave for the Mother House when Mother Superior is taken ill. 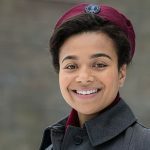 Call the Midwife Series 8 Holiday Special premieres Christmas Day on BBC1 and PBS.